When President Roosevelt signed the Social Security Act in 1935, he saw it as an innovative way to provide economic security for American workers. His advisers also envisioned disability insurance as part of the program, but it was 20 years later when it became a reality. Today we celebrate this important milestone: 60 years ago, the Social Security Amendments of 1956 established disability insurance as part of Social Security. In the years since then, the disability program has adapted to keep pace with our changing world. For 60 years, Social Security has protected workers and their families in the event of a severe disability. The disability program provides a critical lifeline to workers and families who lose their income due to the onset of severe, long-term disabilities. Today, about nine million disabled workers and two million of their dependents receive disability benefits from Social Security. Visit our Faces and Facts of Disability page to learn more. Here you can also watch engaging videos and read personal stories from people who rely on this earned benefit. Social Security is our nation’s most effective poverty prevention program, and disability insurance is a key piece of that. Although the benefits are modest (less than $1,200 per month on average), these payments are the main source of income for most people who receive them. Among disabled workers, 4 out of 5 beneficiaries rely on these benefits for at least half of their income; for more than a third of beneficiaries, it is their only source of income. Social Security disability benefits lift 3 million people out of poverty each year. To commemorate this milestone, we will host a series of articles about the Social Security disability program on our blog in the coming months. We’ll hear from beneficiaries, historians, stakeholders, and disability experts as they reflect on the program’s history and importance. I invite you to reflect on the significance of Social Security Disability Insurance in your own life, or in the lives of your loved ones. You can join this conversation by adding your comments below. We celebrate a very successful first 60 years of the Social Security Disability Insurance program, and look forward to the next 60 and beyond as it continues to protect workers and their families. Whether at birth or in old age, upon the death of a loved one, or in case of disability, Social Security is with you through life’s journey! This entry was posted in SSDI 60th and tagged 60 years, Disability, disability benefits, disability facts, disability insurance, disability program, President Roosevelt, social security act, ssdi by Carolyn Colvin, Acting Commissioner of Social Security. Bookmark the permalink. why when i turn 66 the disability stop when i am still disable? i still can’t work. The law created disability 20 years after the fact for people who could not work until their full retirement age. It is a bridge of sorts to carry you up to but not past the age you would receive your full retirement amount. My husband worked for the city of Dallas for 34 years, he retired there drawing a pension…after retirement from the city of Dallas, he had planned on working elsewhere for several more years, just to supplement our income, in the meantime he had a stroke which now he is unable to work…I have discovered that since he never put into social security, he’s not eligible for disability! Working for the city a portion of his income went towards his pension, not towards social security. There is something wrong with the system when you have a person who has worked hard all their life, and at the age of 58 would be working somewhere if not for his stroke, yet he’s not eligible to draw disability. This is not fair, and it’s not right! Would it be more fair to be eligible for something a person didn’t pay into? The people that receive disability worked and paid Social Security taxes. That’s why they can receive it. Do you mean she will be retired plus the disability benefits she had right now. ? I think is fine because with the Social Security is not enough money to live. No, there will be no addition funds. The amount of margin ney will be the same. Your benefit amount remains the same, what you receive comes out of a different trust fund. Please specify- are you referring from age 60 to 66? It should not stop, it should only convert to social security retirement. Your benefit amount will continue to stay the same except for increase in cost of living allowances. The only difference is your disability benefit will no longer be paid from a disability fund but from the retirement fund. The cost of living has not gone for 2016 because of gas prices are too low but if the person who wants to get medicine has to pay $80 or more. SSA does not count medicine, housing, or electric bills, etc. Cristina, contrary to many belief, SSA does not set the cost of living (COLA). The government measures changes in the cost of living through the Department of Labor’s Consumer Price Index (CPI-W). The CPI has not risen since the last cost-of-living adjustment in 2015. As a result, your benefit rate and, for most people, Social Security benefit amount stays the same in 2016. For additional information about the 2016 COLA, go to http://www.socialsecurity.gov/cola. If you are receiving Social Security Disability Insurance benefits (SSDI), nothing will change when you reach full retirement age except for Social Security purposes your benefits will be called retirement benefits instead of disability benefits. The SSDI benefit that is paid is the maximum amount payable to the worker under his or her earnings record. It is higher than the benefit payment that would be paid for reduced retirement benefits. Therefore, if you are receiving SSDI, your benefit amount will not change when you reach full retirement age. Starting with the month you reach full retirement age, you will get your benefits with no limit on your earnings. Attorney was no help…still denied after waiting 2 years. This system rarely works. Why do you think we have so many homelesd? I found just the opposite; I applied for SSD in October and I was approved in February. I completed all my documents and supplied the supporting documents, I received 2 separate calls from Social Security, one from D.C. and then one from my regional office, I added a few more documents and that was it. I’m so appreciative of SSD because without that I wouldn’t be able to stay in my home or live my life in a modest lifestyle. I agree. Although it took 2.5 years, most do the time SS employees were so helpful. In fact one of them hearing I was paper work wise, suggested I do it myself and not hire an attorney. I followed his advice, it was a lot of work, but I successfully handled the claim myself. I had some very nice and helpful people when I contacted them. Glad to hear it was so easy for many. It took 3 denials and 2.5 years to get approved. All the while my small retirement & savings totally drained due to hospitalizations, Drs & surgeries. I had been diagnosed with a rare liver disease and only had 25% left. I still have problems with Medicare refusing to pay for vital tests to follow the progression of this condition. Since the Government has pilfered Millions of $’s, we should all be praying for an overhaul with less corruption. Thank you for sharing, Elizabeth! Social Security is committed to providing world-class customer service today and in the years to come. True, it was a very smooth process for my husband. You have to provide everything they ask for as they ask for it. Use a disability attorney, even though you have to fill out the huge stack of paperwork, they take care of getting it file and keeping things moving..
Yours is an exception to the rule and no one, much less SS employees want to hurt the disabled, quite the opposite. Attourneys specialize in Social Security / ssi , ssd law. They only receive modest token payment for their help in the application process after you receive approval , @ 400 usd. The majority of people who apply without an attorney’s guidance are automatically rejected the 1st time they apply. This is a hardball open secret. Many will expire in the interim. The important point is that you must continue seeking medical treatment, to document onset and seriousness of your disability. This will be very difficult and painful to do if you are alone, have no family, or have a disability which affects your brain (as I do). The fee agreement for an attorney is 25% of the back pay but not to exceed $6,000…..
For example is someone won a disability case and had $71,000 in back pay coming to them, the attorney would get $6,000…..
Now on the other hand, most SSI back pays are in the $5,000 range, so an attorney would receive $1,250 or 25% of the back pay…..
On both of these 60 years of disability threads II see a RIDICULOUS amount of not only incorrect but DEAD WRONG answers! This isn’t just aimed at you but I correct people on both of these threads who are giving out WRONG information and NOT ONE comes back to respond to me…. It’s like you people just troll leaving these absurd comments and when you’re corrected you don’t even come back to say “oh, my bad, I was wrong, you are right” BUT they continue to leave straight up NONSENSE all over these threads! Here is a hint, get a clue before you start to give people information…. There are state legal representatives who may be able to help you without charging a fee. Check your state offices near you or even call your local SSA office for that information. I agree Gregory. My niece applied for disability and it took her 8 years to be declared disabled and get help. She had 3 different lawyers through the whole process. She has a mental disability. However, I know many people who had no problem at all getting disability and in a timely manner. The thing they had in common was their disability was with their backs. Makes ya wonder. About how many people are injured workers who are on SSDI? It stops because after 65 it goes to straight social security. Happy 60th Anniversary Social Security Disability Insurance! Thank you so very much for being created and helping me and my family when I became disabled. The system works and has been a blessing to us. Again, many thanks! i agree with Jarita, Happy Birthday SSD. If not for SS I dont know what I would have done..I paid in for many years and it has been a blessing..thank you and lets all hope that the elected save this necessary benefit. rent/mortgage, medical,etc because all, of this has skyrocketed and no COLA for 2016. We definitely need an increase for 2017 of 6% or more. Take it from the politician’s who have taken from SS funds unlawfully. I totally agree with you ! They say because the price of gas dropped was the reason for no COLA. Gas is the least of senior citizens,groceries and,utilities and other everyday expenses are rising everyday! Unfortunately that is not even in the ballpark. At the end of August we were looking at a .2% COLA (2/10 of 1%) for 2017. COLA is calculated using the average of July, August, & September, to be released October 16th. My husband collects SS Disability now. When he turns 65, can he collect based on my social security even though I am younger? He receives as much as he ever will on his own record. If you were a higher wage earner he might be able to draw a reduced spouse’s benefit when you are entitled. Most of the time that will not work out financially. My family benefited from this benefit and we remaing ever grateful to FDR, Social Security & the Congress who passed this much needed benefit to those disabled and their families. Kudos to all involved! After working for 40 years, I woke up one morning so sick I had to be taken to the hospital. Little did I know I would never he able to work again. I applied for Disability and my worker was very helpful and understanding. I appreciate her for all her hard work. Happy Birthday and may God bless every worker that helps people at one of the hardest times of our lives. rent/mortgage, medical, etc because all, of this has skyrocketed and no COLA for 2016. We definitely need an increase for 2017 of 6% or more. Take it from the politician’s who have taken from SS funds unlawfully. SSA does not do anything with how the COLA is calculated. Talk to your local representatives to relay your concerns to the Congress. The president signs off on whether there is a COLA or not and how much the percentage will be. The COLA Is based on the economic performance of the country, if I am not mistaken. Thanks for your comment. By law, the Social Security Administration uses the Consumer Price Index for Urban Wage Earners and Clerical Workers (CPI-W) determined by the Bureau of Labor Statistics (BLS) in the Department of Labor to calculate Cost-of-living adjustments (COLAs). The Cost-of-Living Adjustment (COLA), is announced each year in October. These types of articles are so unnecessary and to recruit people who benefit by sharing their stories is beyond the pale. Social Security and, thereby SSDI, are in a high impact marketing mode to get responses from people about how great SSA is. All of these “feel good” stories are being collected so that SSA has ammunition to raise our payroll deductions. People like Carolyn Colvin will go before Congress with stacks and stacks of printouts of these comments, but only mention the ones that are positive in an effort to convince lawmakers that SSA and SSDI are valuable social safety nets. “Safety net” is a code phrase for “means testing”. And if you think that means testing is only going to affect the 1%ers, you are sadly mistaken. We have fewer and fewer workers contributing to SSA and more and more people taking SS and SSDI. This great country of ours does want to and needs to provide sustenance to the very unfortunate among us. But the definition of unfortunate continues to encompass more and more people which mean that those of us who are fortunate will have to pay more. And the Government will define fortunate with a money yardstick. SSA is already short of money….how many people does it take to run this website and how much money do they make? We already have thousands of Social Security offices around the country but because they are so ineffective and create so much dissatisfaction amount its customers, this website is nothing more than a marketing tool. Anyone who has had to deal with SSA knows that this department does not provide good customer service but their jobs are protected because they are in federal employee unions. I’m getting off the point, but it’s so easy to do when talking about SSA. You can bet that every SSA office is celebrating this great milestone with big parties, food, time out of their workdays, all of it on the taxpayer’s dime. Your remarks are SO negative I feel sorry for you. I am 75 yrs. old and I collect ss and personally, I have never encountered a poor experience with ss – Whether visiting the local office or placing a phone call…never a problem. AND, without fail, my check is deposited monthly. I am thankful for social security and for social security disability for those who need it. I agree. I would been lost without them. Some people can never be satiated. We are very thankful for ss that we paid into for 60 some years sense there was no retirement available! Also it is great that people receive help ssd that truly deserve them! But there is a lot of fraud when it comes to that part of ssd that is draining the system and should be controlled better! To many claims of not being able, yet you see them doing things that would qualify them for work! That is the sad part! There are always some that will look for an easy way to take but never give! I have a mental health disability (military service related) at 32 i can’t function in a job and i get by, I’m driving a car that is 16 years old and I can’t afford a newer car. SSDI keeps me off the streets, out of jail/prison/homeless shelter…. I respect that there is fraud but overall this program is a safety net for those unable to work. How would SSA would help all those autism adults who depend on SSI or SSDI who needs education and jobs to care for themselves? Hi Christina: One of our highest priorities is to help people with disabilities achieve independence by helping them take advantage of employment opportunities. We have special rules to help anyone get back to work without jeopardizing their initial benefits. Work incentive employment supports disabled and blind SSI beneficiaries go to work by minimizing the risk of losing their SSI or Medicaid benefits. Please see Work Incentives – General Information for details. Hope this helps. Negative remarks=negative experiences-it’s great you had no problems-apparently this is not the case for everyone. How about a little compassion? While there are kernels of truth hidden in your remarks, such as this site being a feel good venue, and fewer contributing and more taking from the system, your remarks about SS being ineffective and the employees not providing good service is way off the mark. As for SS becoming means tested, you are off on another planet. And you are worried about the employees sharing treats during their lunch hour? How petty! I have no idea how old you are or if you are still working at a good job with a good salary. If you are young and have plans to get ahead and make more and more money, you will be means tested to get the Social Security benefits you deserve. It’s already happening. People who are still working and want to collect their benefits when eligible have their Social Security benefits reduced because they are still working. You know those statements you get showing you approximately how much your SSA monthly check will be? Most people think that’s what they will get when they retire. Let’s say you don’t think it’s not enough for you to live on and you feel like you need to work to supplement your Social Security payment. SSA only lets you make a small amount before they start reducing your monthly payments. How is that fair? If I’ve worked for 50 years and should be getting $1000 a month and I want to work to earn additional money, why shouldn’t I get the $1000 a month that I’m entitled to rather than some reduced amount because I CHOSE to continue to work so I can have a better life than what $1000 a month would provide? I don’t know what planet you’re from if you haven’t heard anything about “means testing” for Social Security. Do a Google search and educate yourself. Ummm if you’re still working you DON’T have to take your benefit! Your amount goes up EVERY MONTH that you hold off on taking your retirement benefit until the age of 70! If you decide to take your benefit at YOUR FULL RETIREMENT AGE! Which I would bet is 66 years old! There would be NO PENALTY from work! You can make ANY amount of money and your benefits would not be reduced. If you decide to retire at any time past 62 and before your full retirement age, you can take your benefits and there will be NO PENALTY AT ALL! So this is the policy, you can take your benefits after the age of 62 but if you’re still working and NOT your full retirement age or FRA AND you go over the $15,720 per year. Your benefits will be penalized…. These are the rules, it’s not that complicated and you’re making it sound like you’ll NEVER get what you’re supposed to…. This simply is NOT TRUE! Wait until your FRA or until you retire to take your benefits and GUESS WHAT????? THERE WILL BE NO PENALTY!!! If you don’t like these rules, write to your congressman…. Your remarks are indeed exceedingly negative, but what’s more, they are INCORRECT. Hundreds of Social Security offices have been CLOSED; there are most certainly NOT “thousands of them” all overall over the country. That’s the whole premise of this website – to be able to serve MORE people with LESS manpower. The union snipe was also false, as was the ridiculous claim of all the offices being closed so they can have the day off to “celebrate and party.” WHAT a buffoon you are. Thanks for the laugh. Glad I could provide some levity for you, Marc. Do a Google search on Social Security offices. In 1937, there were 175 offices and the US populations was 128.8 million. In 2009, the latest info I could find, there were 1297 offices and the US population was 306.8 million. That’s a 641% increase in the number of offices when the population only increased by 138%. I couldn’t find any numbers the number of employees working in those years, but I did find an organization chart dated June 28, 2016 that said there are 60,000 workers at SSA. I would love to know what percentage increase in the number of employees today compares to 1937, wouldn’t you? All those workers are government union workers. Perhaps you’re not aware of the pay and benefits bestowed upon government union workers. They are far above anything the rest of us mortal souls get, believe me. Not to mention, do you know that they don’t participate in SSA? They have their own retirement system that the taxpayers foot the bill for. They don’t contribute anything to their retirement plan. I didn’t say the employees were getting the day off to celebrate….what I said was they were having parties on the taxpayer’s dime while they were supposed to be servicing the “customers”. Unfortunately, I don’t find anything funny about your comments. You are woefully illiterate on the subject. That makes me sad. First off, current government employees DO pay in to SSA , moron. 2ndm they are UNDERPAID vs. current metrics for the same jobs in the private sector. ( source: GOOGLE IT ) There are Higher up’s in all parts of the government that are overpaid, but the grunt workers … look online for a job with SSA. most start in the 20K range, IF YOU HAVE A COLLEGE DEGREE. Ignorance is a horrible excuse for anger. You are the moron. I don’t know what you Googled, but try Googling “Do government workers contribute to Social Security and Medicare?” You will see that they have a different program. SSA isn’t good enough for government workers. It’s going broke but I’ll bet the government workers fund is just fine. This website is due in part to President Obama’s open government initiative 7-8 years ago. He wants government agencies and the public have an ongoing communication of ideas and comments to bring about better or innovative ways and policies to serve the public. I’m sorry, we do pay into social security and Medicare, depending also what government agency one works for AND we also contribute to OUR retirement fund. Does SSDI cover a child age 10 with Autism or are there other financial supports to cover the costs of a special school, diagnostic evaluations and therapies for our grandson? The child could be eligible for SSI. It is means tested however. Children who are disabled may be eligible for Supplemental Security Income (SSI). SSI is a needs based program that pays benefits to people with limited income and resources. We take into consideration the living arrangement, any income and resources available to the child to establish eligibility. Please call us at 1-800-772-1213 for more information. Representatives are available Monday through Friday between 7 a.m. and 7 p.m. Generally, you will have a shorter wait time if you call later in the week. When will we receive an increase in benefits,also it has been 2 years since we had an increase. I,am tried of starving at the end of each month. I agree with Susan , this is all for show. That’s why you should eat out less and save your money to buy groceries, and eat at home. I just read a few of the comments, but I need clarification on if my SSDI will convert to SS when I turn 65 and will there be a change in benefits I receive? Hi Dee. When you receive disability benefits under the Social Security Disability Insurance (SSDI) program, we will automatically convert your disability benefits to retirement benefits, when you attain your Full Retirement Age. The benefit amount will generally remain the same. Thank you for your comment,but I always eat at home .because I cannot afford to dine out and I only grocery shop. Is their any cost of living for 2017 I really need help in paying for food rent please let me know I may just go and be homeless thank you. Please tell me what to do. There probably will be a COLA this year. The SS Administration will not know until October. It will probably be in the neighborhood of 1.6 to 2.2 Percent, not enough to keep you from being homeless. The COLA had only increased by .2% (2/10 of 1%) at the end of August. As they use the average of July, August, & September, it will be released October 16th. I am 71 years of age and am drawing my social security. I had to stop working in June because it was too tiring to transport enough oxygen to make it through a 7 hour day. I had lung cancer in 2011 and a heart attack in 2016 and I also have severe COPD. I was wondering if I could also draw SSD along with my SS. If anyone has an answer, I would appreciate knowing before I go to the trouble of applying. You have to settle for SS because that’s all you will get. You’d have to become disabled before you reached your full retirement age less 5 months. Otherwise, all you can receive is retirement. If you are poor after medical expenses you can apply for SSI. Everyone wants to know how you survived lung cancer that comes with a two year prognosis. Is $1 hydrocortisone creme smeared on the chest the cure for Aspergillus niger? Fresh fabric, vegan diet, an athletic level of cardiovascular exercise, antibiotics cures endocarditis. Hawthorn is the supreme herb for the heart. Hawthorn can be used with statins, that are also effective, but expensive and not so curative. Hawthorn cannot be used with high blood pressure medicines or digitalis. I have had nothing but problems with acquiring ssdi I have Parifrial artery disease that is a automatic disability. Why should it take 11 months? A resting ABI of less than 0.5. A 50% decrease in systolic blood pressure at the ankle with exercise that requires 10 minutes or more to recover. A resting toe systolic blood pressure of less than 30 mm Hg. A resting toe/brachial index of less than 0.4. For further information consult the specific requirements in the SSA Blue Book. Section 4.0 Cardiovascular – Adults. I just want to tell you John, that I appreciate your comments! It’s hilarious to me, that after you correct people up and down throughout both of these SSDI threads, that they never come back to say “I was wrong, you are right” or even bother to come back at all…. Many like to come here and spew their nonsense and MOST are just incorrect…. I truly do appreciate your commentary! I have had to rely on disability benefits for many years now. I worked so very hard all my life only to lose everything but ss disability is a life saver. Even though I have nothing, can’t afford to live alone & struggle every day to decide on what I can afford each month because I live in poverty now is just shameful for our country to do this to us. However it is a very good program but it needs to put people like me in a catagory where I don’t have to worry about every single thing. I can’t afford to pay rent & eat, I haven’t bought clothing in over 20 yrs, can’t afford my meds. But I’m told I make to much for food stamps. Tell my tummy that!!! I have to fight all the time w/my dr. about which tests I can afford to have done when I still don’t feel well. It’s a horrible life that I don’t wish on anyone to go through. I was a workaholic & miss it terribly but just can’t. So bless our country for disability benefits no matter how little. From what you said, you have drawn Disability Check for more than 2 yrs. That means you should hold a Medicare Health Card, entitled to Pt A and perhaps enrolled in Pt B and you should be qualified for Pt D. You should check into SocSecAdmin Extra Help for Part D drug card. Call national call center for SSA 800-772-1213, ask for someone to take your application over the phone. Have your Dec 2015 letter that shows your Monthly Gross Income from SS. Have any other monthly income written down. Know your total Resource Cash Balance in Cking, CD, 401k, Stocks, Bonds. Know how many Deeds you have, the one deed for your residence will not count against you, but any other extra Deed will be considered a Resource (available to convert to cash upon sale). There is a different guideline for Income/Resources for both Single and Married. If you qualify, the monthly cost of your Part D Drug Card will be paid up to about $37 and you will pay either $1.10 or $2.95 for Generics and either $3.30 or $7.40 for Brand Names. This would be very helpful if you can qualify. Many Beneficiaries who do not qualify for other Medicaid programs often qualify for SSA Extra Help because it allows a higher Qualifying Income/Resources. From this one application, you will also be considered for Medicare Savings Plan to pay your Part B Premiums (either $104.90 or $121.80). Then there are about 3 other Medicaid programs with differing Qualifying Incomes. Your local HHS, Community Based Services Office can schedule an appointment to discuss this further by appointment. You must learn the names of programs that are giving you assistance. I am an independent insurance agent that spends 16 weeks a year doing advocate work for the lower income Beneficiaries. I do not charge a fee, no Gov’t program pays me, if you receive insurance through a MCO, Managed Care Organization, then they are not allowed by my State to pay me either. Many people are trying to help the less fortunate. Some people simply say thank you and that is enough, payment in full for my services. Very fortunate, I have not had to ask for financial assistance. Helping others through Advocacy is my way of paying forward for my blessings. I would like to know why someone that has SSI draws more money than SS. I have worked for 20 years, and people that have SSI get more money and benefits than someone that has worked many years and paid into the system. It just does not seem right. SSI usually pays far less than Social Security, in fact if your SocSec amount is less than the SSI amount for your state and living arrangements, you can get true SSI, Supplemental Security Income, which is what it was invented for in the first place, to supplement low Social Security income. SSI is a poverty program, basically. Social Security, whether retirement or disability, is based on the person’s work history. SSI requires disability and poverty, and is not based on work history. Retirement and disability (SSDI) benefits are paid based on your earnings and work history. The Supplemental Security Income or SSI program is a needs based program that pays benefits to people with limited income and resources who are disabled, blind, or age 65 or older. There are times when people can receive both SSI and SSDI, depending on their situation and whether they meet the requirements. Please call us at 1-800-772-1213 for more information. Representatives are available Monday through Friday between 7 a.m. and 7 p.m. Generally, you will have a shorter wait time if you call later in the week. I left a comment…..amazing how it didn’t appear. Maybe because I’m not “singing their praises”. I’ve had to hire a Attorney to help me since I broke my back in August 2015, had surgery in April 2016 and the surgeon paralyzed me completely from the waist down. I’m only 47 and my situation has devastated my family, and I’m now unable to pay my rent and utilities and have no help from any family, yet SSDI denied my first claim. Doctors have said that there is no chance of me ever going back to work again in my lifetime. My ex got approved on 1st try and in less than 4 months. I’ve been waiting since August. My Attorney has filed Appeal. The government likes to borrow out of funds that we worked for, but when we need it, we can’t get what we paid into. People with headaches get SSI, hell, I have migraines my entire life and I don’t qualify for some unknown reason. Examiners have a paycheck to pay for a roof over their head, so why should they care about us? The system is broken. The free disability money I get is great. Social Security is supposed to got broke in 2034. We can get 100% of our benefits now if we go on Social Security disability now. Why let these disability fraudsters take all of our money. They say half the people gets mad about the disability fraudsters and the other half goes and applies for disability. I’ve been hearing about a lot of botched surgeries lately. Although you may have contributed to the system when a person is denied for disability they should apply for SSI. Furthermore, they may be keeping it secret that it is in your best interest to file for SSI because Medicaid pays the medical bills you can’t run from. You have to meet the same disability requirements for both programs. SSI is for people that haven’t worked long enough to qualify for SSDI, and you have to meet the low income and asset requirements. SSDI is not affected by your assets, as you worked and paid into it. I know far too many people without a “severe” disability collecting benefits and just as many with, what I consider as severe disabilities, who are refused benefits. What do you consider a “severe” disability? Apparently the governments definition and mine are not the same. The law defines a disabling condition as one which has, or can be expected to prevent someone from performing “substantial gainful work” (currently $1130 per calendar month) for a period of at least 12 months, or which is expected to end in death. Some conditions automatically qualify for disability after a verified diagnosis; other conditions require meeting an “impairment severity” test. Some disability beneficiaries improve after being approved for benefits. Since most of those do not report such improvement, the only ways SSA becomes aware of it is either when the beneficiary returns to work or when SSA conducts a medical review of the case, which is required by law at least once every seven years, or more often depending on the diagnosis and the severity. aware of a number of such cases when I worked in just one local field office, SSA is not the FBI, and does not have the resources to follow every disability recipient around without reason to suspect that individual of committing fraud, so the public needs to do its part and provide detailed information, which SSA would not otherwise receive about such activity. I thought that someone who is a nurse and hurt their back in working with patients can qualify for ssdi but is free to work another job, say real estate, which does not require strenuous lifting? is this true? If they work making more than the level of Substantial Gainful Employment for more than 9 months their benefits can be reduced or terminated. I am floored that having 2 back surgeries, degenerative disc disease, spondylothesis, migraines, and sacroiliac joint dysfunction don’t qualify, but A.D.D. does. If you are receiving benefits and working, you need to get in contact with an employment counselor (you can ask your local office for the contact information) so you don’t lose the benefits during your trial work period. Fraud is a crime of theft, theft is a crime of violence in Jain theology, and it is the disability determiner in these cases that is the thief This may be why you no longer work for SSA. You can’t deprive the people of their subsistence under common article 1 of two conventions I don’t feel like looking up right now for an offender, without becoming yourself destitute. You can experiment yourself by denying a beggar and then blaming that for your bad luck. It is so easy to get that free disability money if you can understand the way the system works for the fraudsters. “Severe” will only get you past Step 2 of the disability process. It is very easy for everyone to get pass Step 2. Hello Judy. You may find our listing of impairments useful. The Social Security Act sets out a very strict definition of disability, much different than the requirements for other government programs. We pay disability benefits to people who are unable to work because of a medical condition that is expected to last one year or more or to end in death. 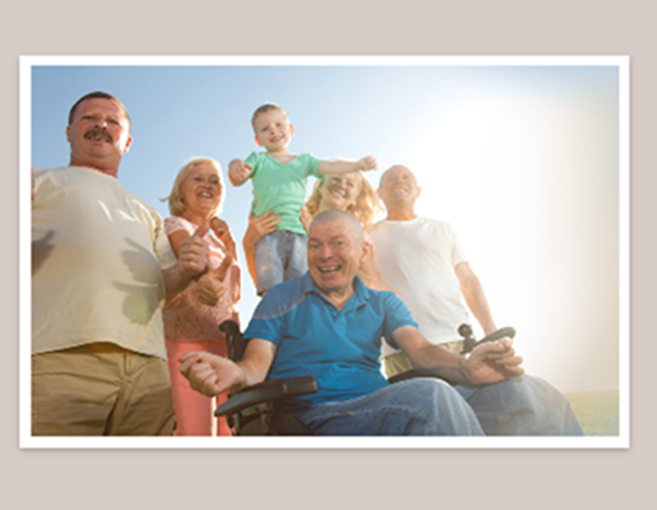 No benefits are payable for partial disability or short-term disability. To learn more about the process we use to decide if you are disabled under our rules, visit our Disability Planner: How We Decide If You Are Disabled. Hope this helps. Remember that this system was made to get fraudsters approved with subjective evidence for back pain, mental illness, CFS, fibromyalgia, etc. Your condition doesn’t have to be on the listing of impairments. Your condition can meet or equal the listing at Step 3. Even if it doesn’t meet or equal the listing, you proceed to Step 4. Lazy freeloaders people who never work a day in their life can skip Step 4 and go to Step 5. The working class have to prove that they cannot do there previous work or they will be denied at Step 4 and cannot reach Step 5. The system was made for lazy freeloading fraudsters. Once you get to Step 5, they take into account your age, education, and work experience. Because you worked hard and got yourself an education, you might get denied. The lazy freeloaders with no work experience and education have a better chance than you. Can you collect ssdi if you have never contributed to ss? I AM GRATEFUL FOR SSDI, BUT, THEY PAY US PEANUTS COMPARED TO WHAT SHOULD BE IN THE FUND. THE GOVERNMENT SPENDS ALL THE MONEY IN THE SS FUND AND THROWS I.O.U.S IN IT AND NEVER PAY IT BACK. YET WE OFTEN DO NOT GET COLA INCREASES OR 2% IF LUCKY. BUT THE POLITICIANS GET A 10% PAY INCREASE YEARLY EVERY YEAR. NOT TO MENTION ALL THE BILLIONS OF DOLLARS THEY “GIVE” TO FOREIGN COUNTRIES. IT’S JUST WRONG THAT WE HAVE TO RATION AND WORRY ABOUT IF THEY WILL TAKE IT AWAY IF WE DO NOT DIE THIS YEAR! Politicians need to be covered by ss just as we are. They hold an office for 2 or 4 years and get a pension for life and a medical coverage package the likes of which most of us never see….. We all need to bombard their offices with this request so they understand our plight and feel cuts, increases in costs the way we do on a fixed income. Oh but they are usually part of the 1% and never feel what we feel….. I applied in Feb and received payments 3 months later. Never would i have thought to become disabled. All my documentation was in order for review at the time making the process smooth and efficient. Thankyou for the service . Its is a valued program once the lifestyle change occurs. -Thank you for sharing! We’re pleased we can help. I believe someone in a prior post, mentioned that SS was not suppose to be your only means of income and that it was set up to be an aide in later years. However, from the conversation, it appears that some are totally dependent upon the resources of SS and are concerned about their survival. I believe we would not be posting such comments if everyone pulled their weight when contributing to the fund in that there are thousands who did not work to contribute, yet benefits from the SSI fund in their later years or perhaps due to circumstances beyond their control. It behooves us to be patient with our conversation as it seemingly contains a disdain toward the less fortunate. Hopefully, SS will be around well into the future if we treat it for what it was set up to be. I guess that depends on the career you select. I was in public service for 50 years in a field that required a masters degree as a minimum requirement. It is a field dominated by females and was always totally undervalued and paid. I started my family late and my children were in college when I entered retirement. It was impossible to save as I result I live on a very fixed income while costs are escalating because the measures used to calculate cola do not apply to my age group. Changes need to be made there. There are also some problems with the SS program that need to be addressed–like paying benefits to someone who has never contributed–which is a big reason why the fund is being depleted. Why should the husband or wife of someone who has never contributed collect half of their partner’s benefits?n Yet those who are single dont get that benefit? That does not make sense to me. No work, no payment. With todays multiple partnerships, it becomes complex and meaningless to pay benefits to someone who has never contributed. Every American needs to know that SS is a Ponzi scheme because there is NO money in that fund! Every dollar the federal government spends just makes the National Debt higher!! And it is over 19 TRILLION now!!! Increasing about $2.36 billion per day. The estimated population of the United States is 323,510,624. Each citizen’s share of this debt is $59,931.29. Sixty years of fraud and deception, wow! Why dont you do a blog on Being physically disabled, marrying an “able bodied person” and loosing out on a lifetime of benefits, all because you married an “able bodied person”? Question, i was born at birth with a slight disability and I attend college, but it is took me a long time to graduate, like 10 years from a junior college.? i know want to transfer to a University, is there any benefits that I can get to assist me with my eduation. And the other question is, I work for 1 week or 2, then I get released, they never tell me why, but I believe it is because of my disability. I could never hold a job with my disability. Can I apply for social security disability benefits. My disability is documneted with all my dignosises. What kind of assistance is out there for me financial and education wise. As the county will not assist me at all. Thank you for your comment, Breanne. The Social Security Act sets out a strict definition for disability. We pay disability benefits to people who are unable to work because of a medical condition that is expected to last one year or more or to end in death. However, if a person thinks that he or she meets our definition of disability, we encourage them to apply for disability benefits when they become disabled. A person may still be eligible for disability benefits under the Social Security Disability Insurance (SSDI) program if they work. However, their earnings cannot exceed a certain amount. This is called the Substantial Gainful Activity (SGA) limit. In 2016, the SGA limit is $1,130 per month (or $1,820 for blind applicants). In addition to the amount of money you make, Social Security may also look at the number of hours you’re able to work. For more information visit our “Frequently Asked Questions” web page on disability. We hope this information helps. I have a slight disability and has been diagnosed and documented. With having a righteous disability, can I get assistance with housing, financial assistance educational wise and financial for living expeses? To see if you are eligible to receive social services or other benefits from the state in which you live, contact your local social services office. Or you can visit the U. S. Department of Health and Human Services (HHS) web page for more information. 24 Apr, 2015, my son,age 41, was in auto accident, where the driver dead at scene. went through (2) appeals at SSA . Now waiting on administrative law judge hearing . he can barely dress himself, and this waiting has been going on over a year. mo. IT SHOULD NOT TAKE THIS LONG FOR SSA TO REACH DECISION :!!!! YOU or ME, would we still be treated this way? This is NOT the only case that I personally know of. Now SSA said it may be months before they have an appointmentwith an ALJ . Could this be ploy to force me to hire an attorney ? Close to being HOMELESS, while SSA employee’s sit at desks, earning $45000. TO $80,OOO YR,as i collect $14,500. per yr.
while helping my son with power and water !! !9 SOMETHING NEEDS TO BE DONE WITH THE WAY SSA HANDLES CASES. On March 29, 2018, I applied for medical disability because I can not see anything through my left eye and was instantly denied. I was working at that time and was earning over the poverty line. Recently, I was laid off from work because of absences due to surgeries from my left eye, still can not see anything from left eye. I need to appeal my case and in need of legal help to guide my case. Please, anybody who can help will be appreciated. What is the minimum of work credits can I have and still qualify for ssi? Hi, Larry. Thanks for your question. It sounds like you are referring to credits for Social Security benefits. Generally, you will need to have 40 credits, or 10 years of work paying Social Security taxes, to qualify for any type of Social Security benefit. In addition, to qualify for disability benefits, you generally need to have worked for five out of the last 10 years before you became disabled. The rules are different for younger workers who become disabled or die. For a complete explanation of credits needed for the different types of benefits, check out our Benefits Planner: Social Security Credits web page. We hope this helps.